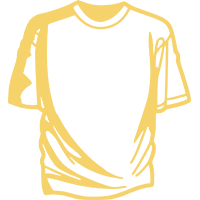 Create your t-shirt in no more than 1 minute. Design your lovely printed t-shirts online and have chance to check it out with the new 3D view from every angle you like. Clothe your well designed t-shirts on real people on the last step. Select quantities for male and female t-shirts. Small, Medium, Large, Xlarge, XXLarge is available for the sizes. Check your design on t-shirts worn by real people and confirm your order.